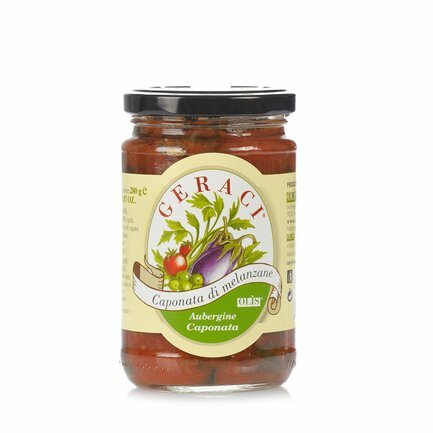 The aubergine caponata, an authentic symphony of traditional Sicilian flavours, is made using vegetables in season, together with the purest Geraci extra virgin olive oil. 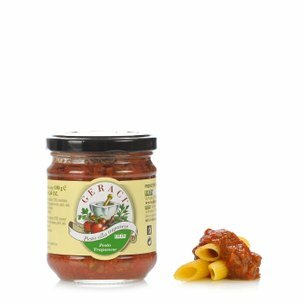 The aubergine, olives, capers, tomato sauce and that pleasant sweet and sour flavour are a true triumph of Mediterranean aromas and flavours that are deeply rooted in the history of Sicily. 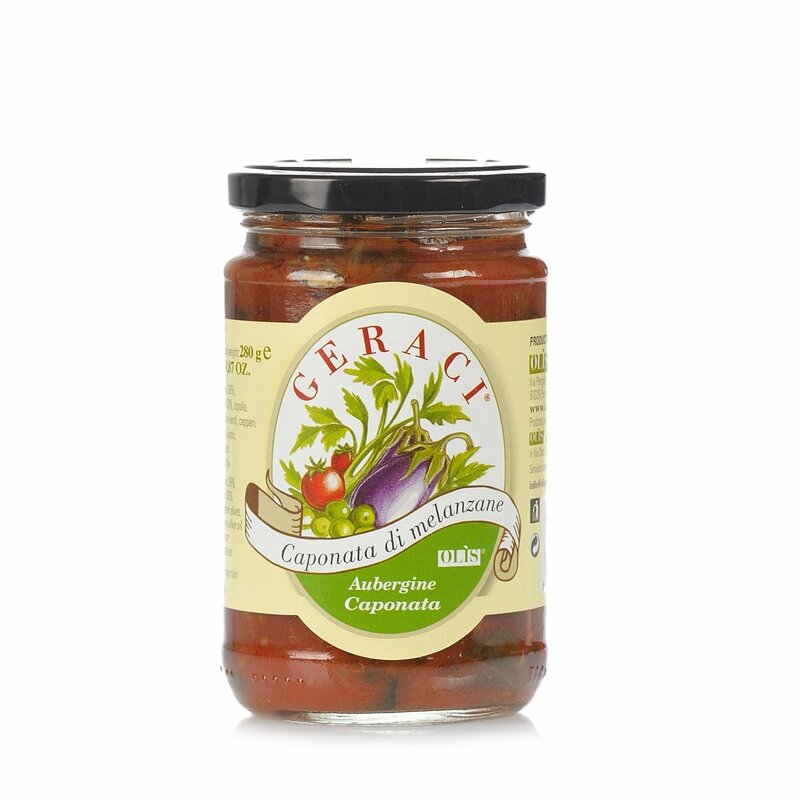 This caponata is perfect as an appetiser or as a side-dish, but it can also be used to make a genuine main dish if enjoyed together with slices of toasted bread. This product is ideal to be used in meat or fish based dishes. It does not need to be reheated and therefore it also optimal at room temperature.